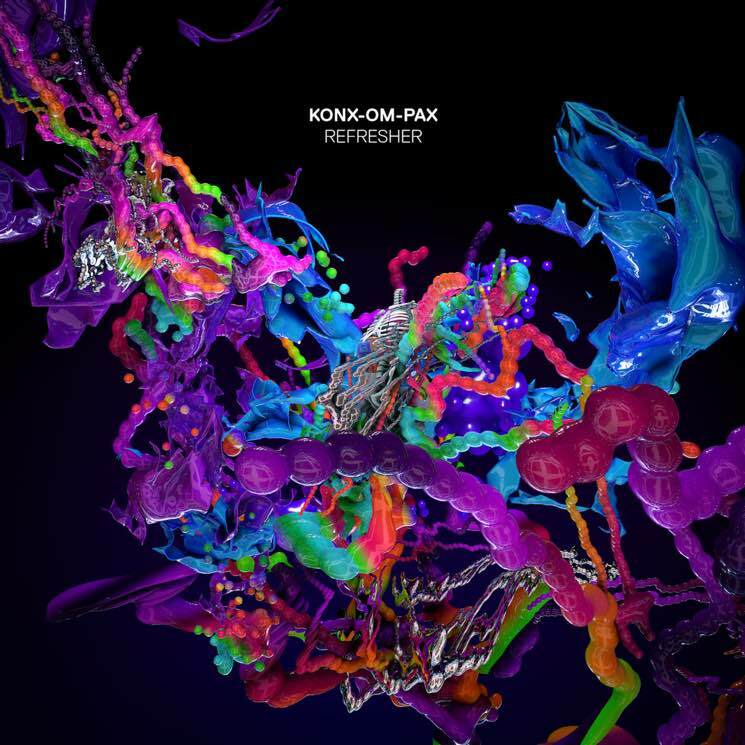 2016's Caramel was something of a breakthrough for Scottish producer and visual artist Tom Scholefield (aka Konx-om-Pax), making good on the potential shown on his 2012 Planet Mu debut, Regional Surrealism. Although it retained that album's murky, dream-like aesthetic and evocation/deconstruction of '90s IDM and rave sounds, the melodies were brighter, the arrangements more focused. The aptly named Refresher EP provides a quick reminder of that album's achievements, as well as another bump in fidelity — not to mention a new interest in beats. Indeed, the two new tracks that kick off the EP (there are also two remixes from Caramel, including one from u-Ziq), are easily the most consistently beat-oriented pieces Scholefield has released. A thumping, warehouse-spawned kick keeps time on "Cascada," while a breezy, Mediterranean rhythm courses through the otherwise sinister "Species With Amnesia." These front-and-centre beats are a welcome development overall, although something of a double-edged sword in that they highlight the repetitive nature of some of Scholefield's work. "Cascada" has a brief digression towards its end, for instance, but mostly consists of the same variously modulated melody for five minutes.